After four months of consolidating following a $30 advance gold looks ready to push higher. With yields primed to move higher (bonds lower) commodities are well positioned to benefit. Two natural stop areas are presented; the first is the March reaction low at $106 with a second at the low of the consolidation around $104. I have offered a Trading Idea for a move to $127 with a stop on break of $104. If there was a downside scenario, a break of $104 would convert the consolidating triangle into a down channel with a target of $98; likely finding support at the early 2009 reaction high. But in the months ahead commodities - including oil, silver, platinum etc - will likely offer the best opportunities as inflation pressures rise. 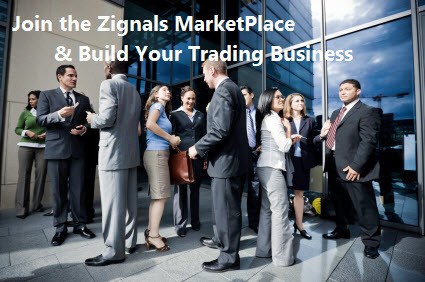 It was another busy day for Zignals trading strategy signals, especially for UK markets. Short Unacted Entry for MSFT (Nasdaq) at $29.21 (EoD): Entry signal given, but exited position on same stock too recently (5) days ago. Long Unacted Entry for MAI (London) at 147p (EoD): Entry signal given, but exited position on same stock too recently (7) days ago. Long Unacted Entry for SFR (London) at 195p (EoD): Entry signal given, but exited position on same stock too recently (10) days ago. Build a trading strategy in Zignals and potentially earn money too; download our Build a Trading Strategy PDF and get selling (and trading) today! Dr. Declan Fallon, Senior Market Technician for Zignals.com, offers a range of stock trading strategies for global markets under the user id: ‘Fallond’, ‘ETFTrader’ and ‘Z_Strategy’ available through the latest rich internet application for finance, the Zignals MarketPortal or the Zignals Trading Strategy MarketPlace. Zignals offers a full suite of financial services including price and fundamental stock alerts, stock charts for Indian, Australian, Frankfurt, Euronext, UK, Ireland and Canadian stocks, tabbed stock list watchlists, multi-currency portfolio manager, active stock screener with fundamental trading strategy support and trading system builder. Forex, precious metal and energy commodities too. Build your own trading system and sell your trading strategy in our MarketPlace to earn real cash. Read what others are saying about Zignals on Investimonials.com. JOIN US TODAY - IT'S FREE!